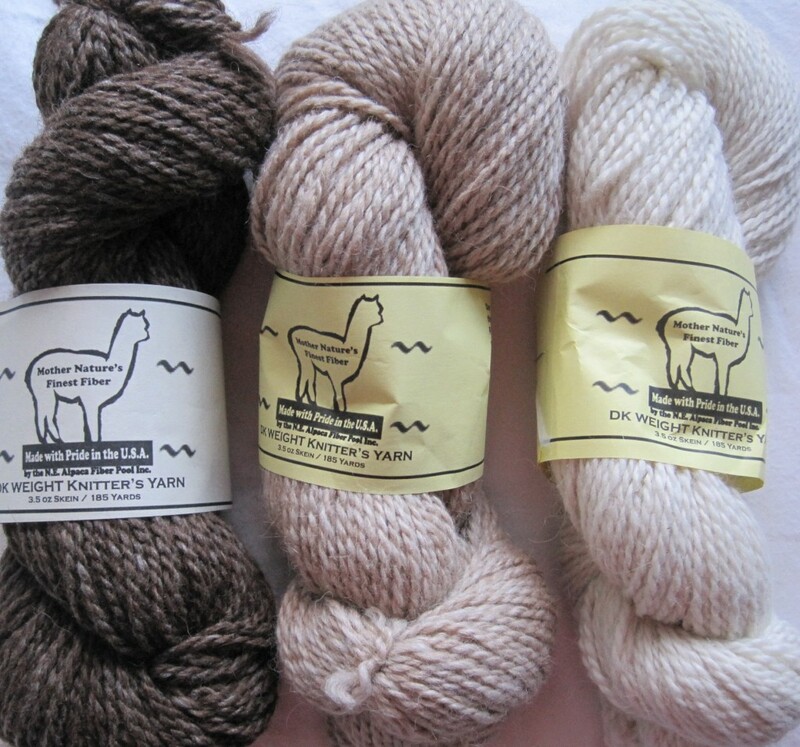 100% prime alpaca yarn comes in three natural colors. All skeins are 3.5 oz., approx. 185 yards, and 2-ply, giving it improved overall strength and a spectacular hand. DK comes in white, heather brown and light fawn.